Rewards for each trainer level in Pokémon Go. For each trainer level earned in Pokémon Go, players receive a series of free in-game consumable items as rewards for leveling up. These item rewards change depending on the level acquired. For this guide, we have created a list of the rewards players can anticipate for each level gained in Pokémon Go. At certain trainer levels, players will unlock upgraded versions of some items including improved Poké Balls, Potions, and Revives. For example, the Great Balls unlocked at Level 12 are enhanced Poké Balls that have better chances of catching difficult Pokémon. These higher tier items offer a nice incentive for gaining levels, as they are meant to improve your capabilities as a trainer. However, the XP requirement for each trainer level gradually increase as the player levels up, causing the process to become more time consuming at higher levels. The current level cap in Pokémon Go is Level 40. Lucky Eggs are the best consumable items for those looking to level up fast. 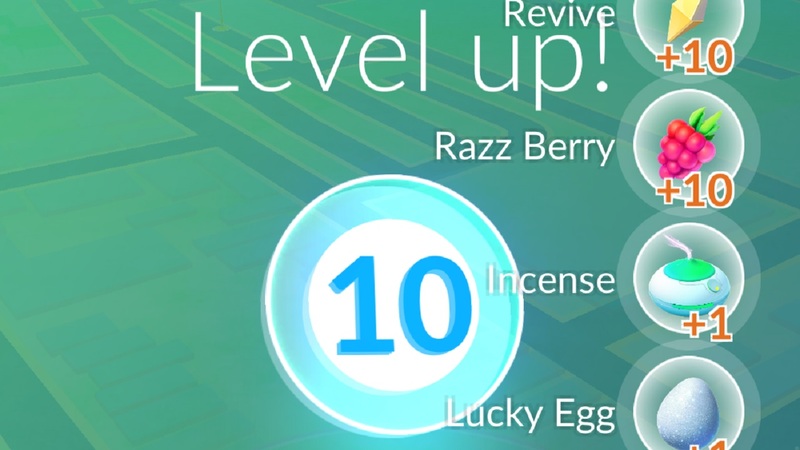 Lucky eggs will double your XP gain for a 30-minute duration. For details on how to maximize your XP gain, check out our guide on How to Level Up Quick in Pokémon Go. Grand Theft Auto 6 to be Revealed at E3 2017?